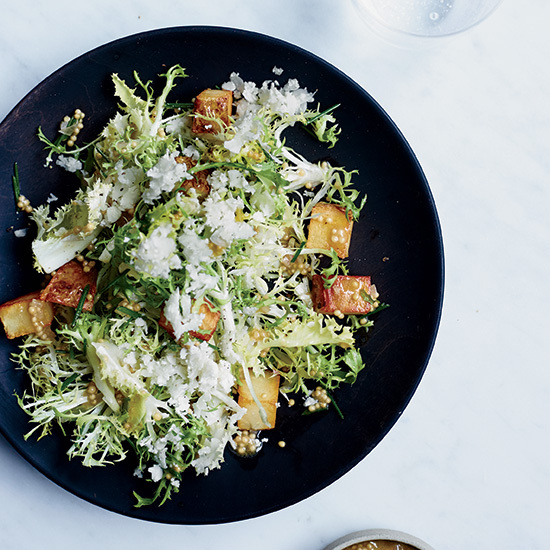 The best recipes for the crunchy bistro salad. Bitter, crunchy and tangy, the frisée salad is greater than the sum of its simple parts. 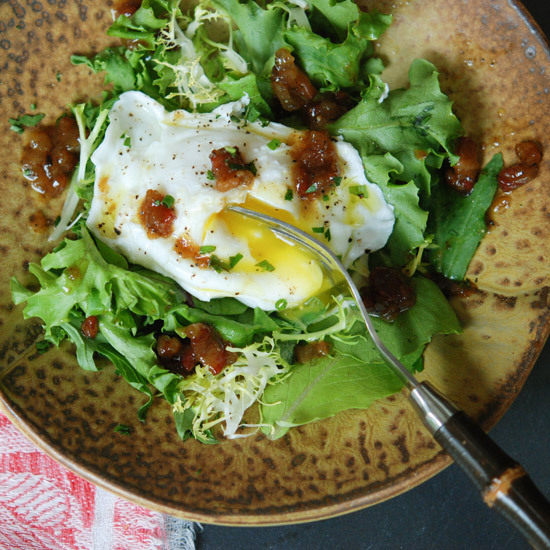 All you need are some good, curly leaves, an easy vinaigrette and a few other ingredients (poached egg and lardons being the classic accessories) to make a gorgeous, flavor-packed salad worthy of an elegant dinner party or a luxe lunch for one. Here, our best recipes for this time-tested bistro stalwart. 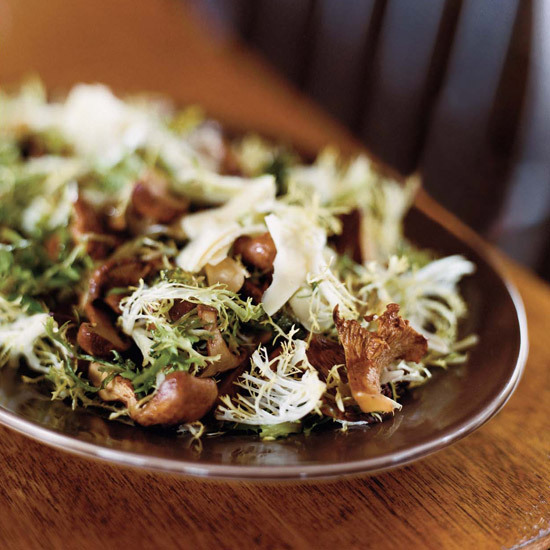 Earthy chanterelle mushrooms and nutty cheese shavings make this salad hearty enough to stand up to red wine. 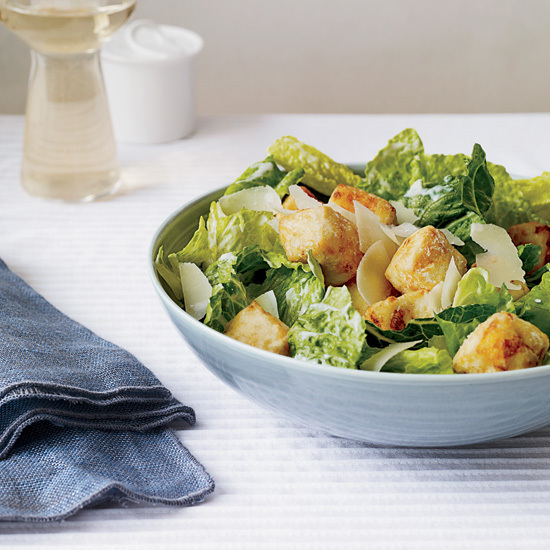 This warm salad is supremely bacon-y. 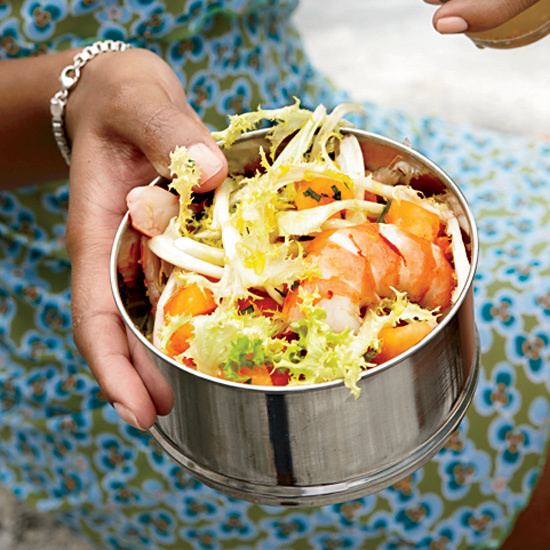 Sweet poached shrimp is perfect with mild melon and peppery frisée. Here’s a great way to serve a frisée salad in the winter. The secret to this exceptionally delicious dish is nutritional yeast, which adds an umami-rich flavor. Chicken livers, frisée, crisp bread, bacon and hard-cooked eggs make for a totally satisfying salad. Baby greens join frisée in Andrew Zimmern’s beefed up version of the popular salad.